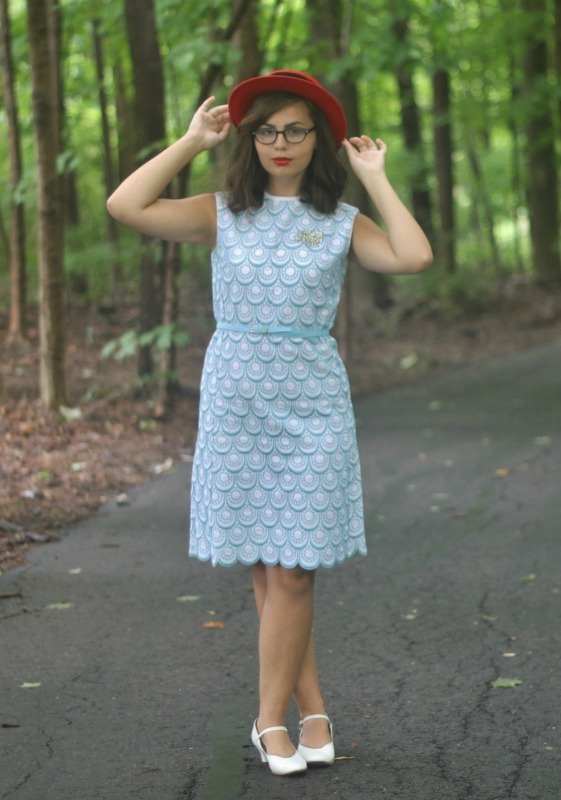 1960's Shift Dress (for sale in my shop), Heels, Hat: Thrifted. Lipstick in MACs Russian Red. I was very lucky to find this beautiful 1960's shift dress while thrifting the other day. What a beauty! I'm not a big shift dress wearer though so I thought I'd list it for the store so someone else can don it more often than I know I would. Since I'll be leaving for school in exactly one month from today, I need to start clearing the store out. I won't be running it from school because it's just too stressful + I don't have room for all the merchandise. Just use it at checkout and the percentage will come right off. I've been listing a lot of my personal clothing lately since my closet is getting too full again. Check out all of the items I have if you'd care to here! Such a lovely dress! I like the pairing with the hat as well. Wonderful outfit! 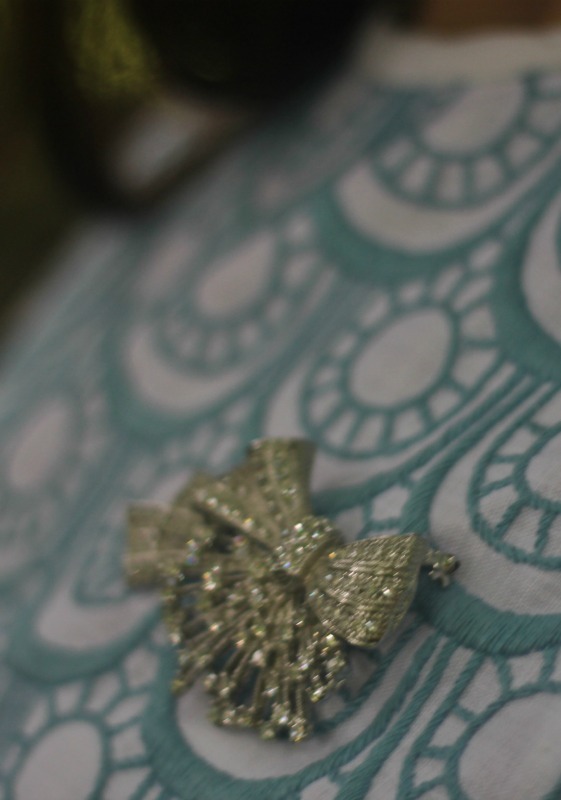 I love your dress and brooch, so pretty! Oh my gosh! I LOVEEEEE this dress and I bought it! In my excitement I didn't even read the rest of your post so I didn't see the discount code. Hahaha. Oh well, I am very happy with the price I got it for anyway. What a gem! I am SO thrilled I got this! So often I will see things like this and they will be sold out already. So excited! Thanks heaps for your generousity in selling this find! I love the hat Lauren! You have such a seriously impressive collection of hats. 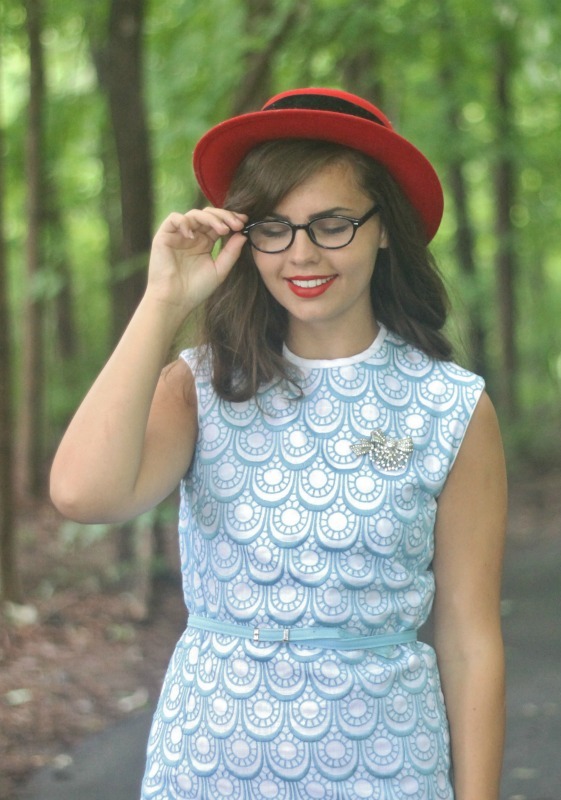 This dress is an amazing color on you, and I love the red hat you paired it with. You look like Madeline from the adorable childrens movies!! 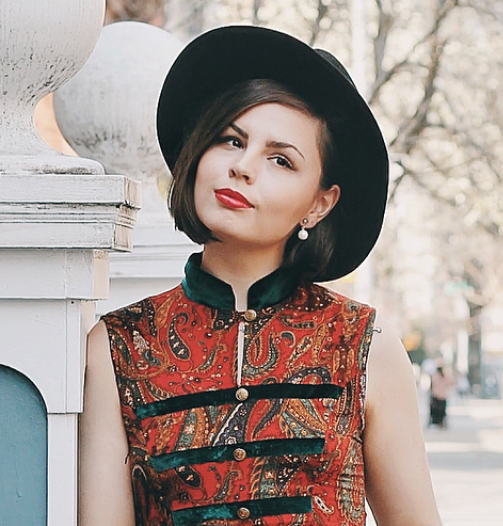 This is such a lovely outfit, that dress is gorgeous! A pretty color and I love those scales. You look so pretty too! wow I love the details of your dress, so so beautiful!! 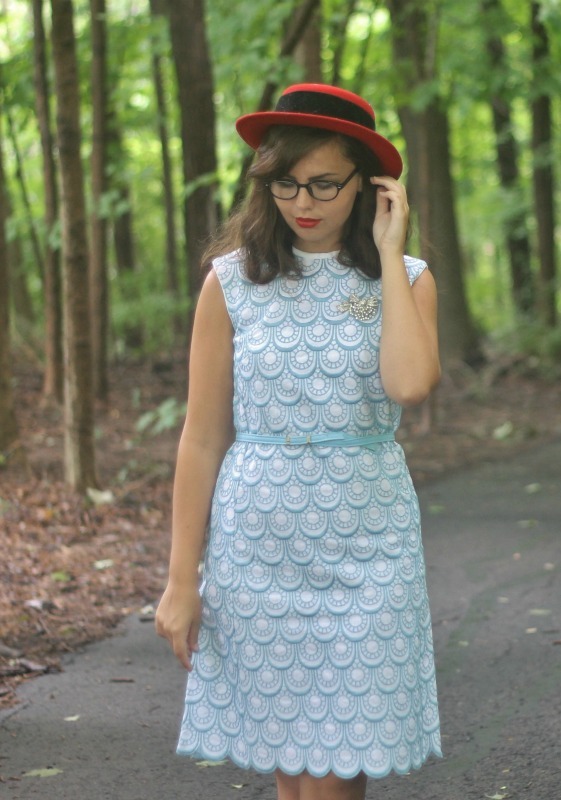 Aw, what a cute dress, the scallop hem is just adorable. Did you cut your hair?! It looks gorgeous, Lauren!!! I think either style suits you so beautifully. So kind of you to extend 30% off on your shop, I will have to check it out! Absolutely precious! I love the glasses and hat with it. Lauren, I love going through your old photos to see how your style has evolved. This was one of my favorites. It reminds me so much of Jess from New Girl.